Electoral Rolls show the occupations of voters. The first most striking information is that of the Valley’s 141 women, 138 were engaged in domestic duties. The women not listed under domestic duties were sisters Lillian and Maude Woodbury of Wyong Creek. Lillian was a school teacher and Maude taught music and was also secretary of St Cecilia’s church fund. The third was Nurse Catherine Schofield of Yarramalong. Even though this article indicates that most of the women of the early 1900s were ‘listed under domestic duties’, the women clearly took an active role in the development of the Wyong area. This page hopes to highlight the role that many of the early pioneer women took. There are also links to other Family Information. Florence was the second wife of Francis ADAMS who was the Blacksmith on Tuggerah Straight and Alison Road Wyong from 1920 to 1942. Francis ADAMS was very strong in the Manchester Unity Lodge and was the first Grand Master of the Brisbane Water District. Florence played the piano for local dances and for the silent pictures at Wyong. Betty ALEXANDER was the Postmistress at Kulnura NSW for 18 years and had been a consistent worker for the Mangrove Mountain RSL Women’s Auxiliary. ALISON, Constance Margaret, was the daughter of James Charles COX and Margaret WHARTON. She was born 1868 in Sydney NSW and died in June 1940 in Hampshire, England. Constance was the wife of Charles Alison and granddaughter of William COX, Blue Mountains explorer. Charles ALISON’s father, William, migrated to Australia in 1871 buying up land, sheep stations and farms including the Wyong Estate and its homestead in 1875, which had been settled by the CAPE family. Charles and Constance moved into the homestead and when the railway came in 1887, Charles ALISON subdivided the land and created the township of Wyong. The family left the area in 1900 and the homestead became a market garden until the 1970s when it became a museum. Constance and Charles were constantly mentioned in the papers attending events at Government house and other important events in the Sydney social calendar. The suburb of Alison, which is bordered by Jilliby to the northwest , Wyong to the east, was named after Charles and Constance ALISON. BARTIER, Flora Grace – Grace was born 1914 in Merewether NSW, the daughter of John McGILL and Annie Roger Leith WEST. She married Eric Hilton BARTIER in 1937. Eric BARTIER was Captain of the Wyong Fire Brigade, and as Captain the fire alarm was kept at his home. A little known facet of the fire brigade work was the part played by the wives of the captain, engine-keeper and the “third phone” man. During working hours it was the duty of those womenfolk to attend to telephone calls and alert the men when a fire broke out. During Eric’s 27 years Flora shared this duty with Mrs. CHAPMAN and together they got the brigade underway to hundreds of day-time fires. The people of Wyong were indebted to Eric and Flora for their long and faithful civic service to the community. On 10 May, 1897, the Maitland Mercury reported that Charles Breckenridge of Wyong had been authorised by the NSW Government to sell postage stamps. The Breckenridge Store was built in about 1886 at the north eastern corner of Alison Road and run as a general store by brother and sister Charles and Minnie Breckenridge. It was later known as the Rainbow Café. The building was destroyed by fire in 1980. A very pleasant little tea-party was given last week when Miss M. Breckenridge entertained the children of Wyong to an enjoyable outing at which cakes, fruit etc were in abundance. The children had a good time of it, and the thanks of the community are due to Miss Breckenridge to provide legitimate recreation for our youngsters. Gosford Times Friday August 6, 1897. William Chapman retired from Chapman and Sons and returned to Sydney, where he died in 1919. In 1921 the first Butter factory was destroyed by fire, when the second factory opened widow Grace Chapman transferred ownership of the Pioneer Dairy property to her two surviving sons, William Arthur Chapman and Alfred Ingram Chapman. Their youngest son, Alfred Ingram Chapman and his wife, Ellen Hope Chapman set up the Chapman Trust in the 1950s - a charitable trust that has given more than $20 million to Central Coast organisations over five decades. Mrs. Grace Chapman, who died at her home, Wyona, Killara, on Wednesday, aged 78 years, was the widow of Mr. W. J. Chapman, of Wyong and Killara, and the last surviving granddaughter of Mr. Owen Cavanough, a member of the crew of Captain Cook's Endeavour, and one of the first men to receive a grant of land in Australia. Mrs. Chapman was born at Lower Portland, and on her marriage, in 1869, went with her husband to the Wyong district, where they resided until 15 years ago. Two daughters, Miss E. G. Chapman (Killara) and Mrs. F. R. Todd (Kiama), and two sons, Messrs. W. A. Chapman (Wyong) and A. R. Chapman (Gosford), survive her. The funeral will take place at Wyong to-day. ​In about 1870 Grace Chapman established the first officially recognised school in Yarramalong, using a room of her simple home as a classroom. She taught about 12 children. In those days, education was not free - parents had to pay a weekly fee of about one shilling per child. The money was paid directly to the teacher, and it served to supplement the teacher's meagre salary. Mrs Chapman was paid 36 pounds a year by the Government, provided that an average attendance of 18 could be maintained. In April, 1872 Grace Chapman of Wyong – teacher of the provisional school sued Samuel Boyd for the sum of one pound for one quarter’s tuition for five children. 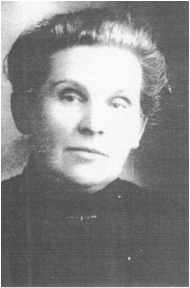 Mrs Chapman lived at Bunning Creek, Yarramalong – she taught about 12 children in a bare floor dwelling. Wyong Flashbacks by Edward Stinson Wyong Advocate. Josiah Dawe ran the Blacksmiths shop and a Funeral Business. After Josiah died in 1912, Gertrude continued in the business and caring for their children for some years. Many advertisements were placed in local papers advertising her business as a funeral director. Gertrude played the organ in St James’ Church and was superintendent of the Sunday School. Edith was the Granddaughter of Edward Hammond HARGRAVES of Noraville. It was probably Edith, with her knowledge of Sydney, who saw the opportunity for establishing a commercial venture at The Entrance North. By 1905 Dunleith was in operation and was run by Edith and Walter until it was leased in 1910. Edith was a strong personality who called a spade a spade. Towards the close of their lives they again operated Dunleith as flats and rented their own home Lurnea, built in the late 20s, as it had become too large to manage. Ivy was well known as the caretaker of the Warnervale - Kanwal Literary Institute Hall. She attended dances, balls and bingo nights and prepared the hall for use as a classroom around 1956 for the overflow of Kanwal School. Before her marriage, Ivy was the first woman in Queensland to be granted a Mail Run. Her area was Ipswich to Mt Byron and as part of her uniform she carried a 32-calibre Lever Action Winchester for protection. She was an accurate shot. Like all women of her era she rode side saddle. Some people were so outraged at a woman doing this work that it even received mention in the Melbourne papers. The concern was not that she couldn’t perform the task but that she might be so unladylike as to perspire while carrying out the work! A girl post boy carries mail on horseback – allegations of sweating. There is a young lady acting as "post boy" in Queensland. She carries mail on horseback between Mount Brisbane and Mount Byron, a distance of about six miles, and, so far as the central postal administration is aware, satisfactorily. The contractor has not submitted the name of the young woman, Miss Ivy Parfitt, to the department for approval; but a complaint about the matter has been made, and the Postmaster-General, without committing himself to any opinion in this particular case, is considering the advisability of going fully into the mail contract and allegations of sweating. Edith married Donald Arthur Milroy SAYER in 1938 in Gosford NSW. Edith’s parents ran the first Post Office from Wallarah Point which was the original name of Gorokan area. The mail had to be brought in by boat. Edith SAYER was the first postmistress for the area. The area was renamed Gorokan and the premises moved to Edith’s property in Edith St. She became a member of the Gorokan Bushfire Brigade and was the treasurer of its social committee at the time of her death. Her funeral cortege went for half a mile and was one of the largest funeral processions in the Upper Tuggerah Lakes area. SPENCER, Constance Annie was born 13 October 1891 in Moss Vale NSW. She was the daughter of Humphrey RICHARDSON and Annie Elizabeth BOUSFIELD who were married at Berrimah NSW, in 1885. Constance’s father Humphrey RICHARDSON came to Moss Vale from Tinonee on the Manning River when he was 22, and a year later married Annie BOUSEFIELD. Theirs was the first marriage in the Moss Vale Presbyterian Church. Humphrey’s story was also the story of the progress of Moss Vale – he was an untiring worker for good causes, a man of sound judgement and vast humanity. 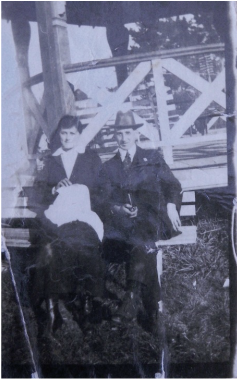 Constance married Clarence SPENCER at Moss Vale in 1916. A wedding was celebrated at St John’s Church of England, Moss Vale by the Rev. C. Hughesdon, when Clarence Spencer of Cowes, England, was married to Constance, second daughter of Mr. H. Richardson, Town Clerk, Moss Vale. In 1923 Clarence and Constance SPENCER opened a small clothing shop in Railway Street (now the Pacific Highway), Wyong. They lived for a while over the shop, and then purchased a small house in Church Street, just around the corner. Constance SPENCER died in 1939, and Clarence and their son Ian (Peter) ran the business together until Clarence’s death in 1961. Spencers’ Drapery continued in business until the late 1990s. TAYLOR, Elizabeth. Elizabeth was the daughter of George and Elizabeth BRISTOWE and died in Sydney NSW in 1941. The first Government school to be established in the Wyong area was at Blue Gum Flat (now Ourimbah) in October 1863, on the site of the present railway station, with Elizabeth Bristowe as the teacher. Previous to her appointment there, she had been employed privately as a teacher by Hamilton Stinson, at Yarramalong. There she taught his two young sisters Sarah and Margaret and two or three other children from the neighbourhood. In 1864, George Henry Edward TAYLOR married Elizabeth BRISTOWE an English girl who had been a governess with the KELLY family at Popran, and a teacher at Mangrove Creek and Cooranbong. TAYLOR, Jane. Born c1822 Goulburn NSW - Died 14 November 1871 Sydney NSW. Jane and Edward TAYLOR were married at the police office at Goulburn in April, 1838. Her father, Silas PEARSON, owned a boarding house at Gosford. There was a rumour that her money came from her wealthy brother, who was gored to death by a bull, leaving Jane a lot of property. Edward and Jane TAYLOR arrived at Blue Gum Flat around 1840 and later settled at Tumbi Umbi. In 1854 his wife, Jane, acquired all of what is now known as The Entrance. The land was sold to Jane Taylor for 500 pounds. The Taylor family leased the land to people by the name of Frost who carried on the dairy business. When Jane Taylor died in 1872, her son Richard Brown TAYLOR bought out most of his siblings and became the sole landholder of the property now named "Tuggerah Beach". Other members of the Taylor family owned tracts of land in many areas of Erina Shire. A very generous family throughout several generations, the Taylors donated land for schools, churches, halls and other community amenities to be built. WARD, Caroline Charlotte Pansy, Born 1873 Farnham Surrey England. Died 4th February 1861 at Tuggerah. Mrs C WARD arriving at Tuggerah Post Office with Australia’s only Royal Mail perambulator . Mrs WARD, who is more than 80, meets mail and paper trains at Tuggerah Railway Station. The Post Office is one mile from the station. Twice daily, Mrs WARD collects mail and papers at the station. Mrs WARD said yesterday: ‘My husband was appointed postmaster at Tuggerah in 1912. We did the job together until his death five years ago. I carried on, and for a short time brought the mailbags and papers from the station on my shoulder. Since then I have been using the pram. And pushing it every day has added 20 years on to my life – I’m going to live to be 101. People who are not energetic die too early’. WATERS, Hannah Born 14 April 1855, Daughter of Thomas PEMBERTON and Hannah JOHNSON – Married William Waters (Billy) in 1878. Licensing Court – Mrs Hannah Waters of the Yarramalong Hotel, Yarramalong was granted a booth license for Horse Parade at Wyong on 9th September. Gosford Times and Wyong District Advocate 8th September 1911. Yarramalong – The Old Yarramalong Hotel situated about 12 miles from Wyong was destroyed by fire about 2.30 pm on Thursday 27th September, together with all furniture, stock in trade etc. it was the property of Mrs Hannah Waters and her son Mr Cleve Waters. The greater parts of the building were built of weatherboards, slabs lined pine, iron roofing and one part of stone walls plastered, and a shingle roof. Altogether the premises were old and contained 16 rooms and bathroom. Sixteen months ago, 100 pounds was spent in repairs. Gosford Times and Wyong District Advocate 11th October 1917. For Sale – ‘Elsiemere’ Tourist Boarding establishment, Long Jetty, Tuggerah lakes. House, 13 rooms, outbuildings, furniture, linen, Cutlery etc. Land about one and three quarter acres, valuable situation. Price (including goodwill) 1,860 pounds. Deposit 270 pounds, balance over 6 years. Would consider Lease to approved tenant. Gosford Times and Wyong District Advocate 22 June 1922..
Born 13 April 1886 Wamberal NSW, died 7th April 1966 at The Entrance. Occupation – boarding House proprietor. Ethel married Alfred WATKINS in Wyong in November 1906. They were said to be the first couple to be married at St James’ Church of England Church in Wyong. Alfred and Ethel WATKINS first settled at Killarney Vale. Alf was a carpenter; they later took on the boarding house business. The first was Waiwera and after purchasing three blocks of land on the corner of The Entrance Road and Dening Street, they built the boarding house Lorna Doone in 1921. In 1927 they added a general store on the corner and when son John (Jack) finished school he managed the corner store, before going into the building trade. TheLakeview Shopping Centre now stands on this site. When the first Bowling Club was formed at The Entrance in 1945, Alfred and Ethel were very early members. WOODBURY, Eliza. Born c1842 Gosford NSW, died 8th July 1911. Daughter of John O’NEILL and Ann TIERNEY - spouse of Matthew James WOODBURY. ​Matthew and Eliza Woodbury, seeing there was a demand for such a facility, obtained a liquor licence and provided Inn service for the passing travellers. Most of the travellers were local people or settlers from the Yarramalong and Dooralong Valleys who had to visit Gosford every so often with their saddle horses and their pack horses to obtain their supplies. Matthew had little to do with the actual running of the Inn - he left this to his wife. Eliza Woodbury died in 1911. Obituary – Death of Mrs M J Woodbury – Eliza Woodbury aged 69 years was buried at St Cecelia’s Church Wyong on Monday morning last. The numbers who followed her to her resting place was testimony to her splendid worth. Many of them know her from childhood. The deceased lady, who was the wife of Matthew John Woodbury, and sister of Mr John O’Neill of Ourimbah, had been an acute sufferer for some years, and had been tenderly and patiently nursed by her daughters. The deceased lived all her married life in the one house, ‘The Cedars’ at Wyong Creek.